You DO NOT have to add any other items to the cart--just add this item and indicate which shirts you want in the comments field during checkout. Available in men's and women's tees. 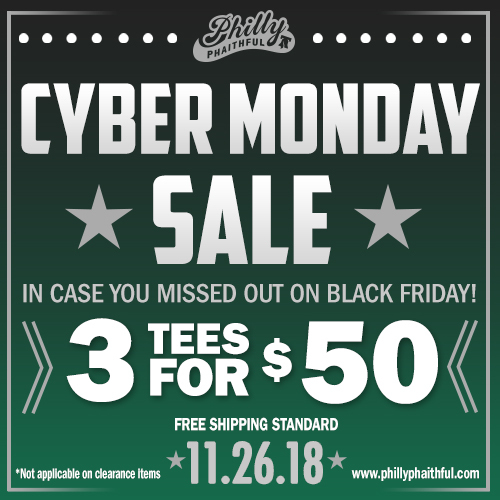 Hoodies and other styles are not included, but feel free to email us at info@phillyphaithful.com if interested and we can set something up for you. Reward Points 50 points will be rewarded to you when you buy this item.